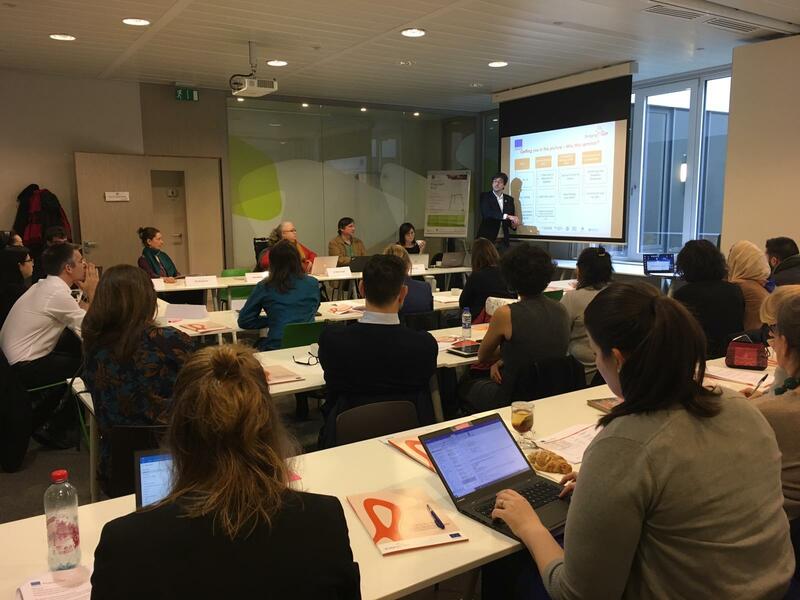 On April 2nd Bridging the Gap held in Brussels the ‘Stakeholder seminar on disability mainstreaming in development cooperation’ to strengthen the project development practitioner’s partners in defining a stronger and more effective approach to disability mainstreaming. The Seminar tried to enhance the knowledge of mainstreaming disability theory and practice in compliance with the Convention on the Rights of Persons with Disabilities (CRPD) among representatives of development cooperation initiatives, programmes and projects. The well-balanced audience mixed with international experts on disability mainstreaming shaped a real learning space in which concrete opportunities were identified and discussed. Tools, good practices, ideas, proposals and strategies were shared and debated for mainstreaming in programmes and project among representatives of Bridging the Gap’s partners and cooperation actors: Austrian Development Agency (ADA), Spanish Agency for International Development Cooperation (AECID), the Italian Agency for Development Cooperation (AICS), the International and Ibero-American Foundation for Administration and Public Policies (FIIAPP), the Ministry for Foreign Affairs of Finland and the Commission’s Directorate-General for International Cooperation and Development (DEVCO). During the second part of the seminar, small working groups tried to identify ongoing or future initiatives to start implementing disability mainstreaming approach through, also, the support of Bridging the Gap. The session was directed through two main questions: “After this seminar, what do you commit to do for the inclusion of persons with disabilities in your activities?”, and “What additional support would you need from Bridging the Gap to make your commitment reality, also in strategic terms?”. The main ideas and commitments came out from this session were: strengthening the knowledge on disability mainstreaming among key actors and different sectors, advancing further on disability inclusion at organisational level and project level, promoting direct participation of persons with disabilities, ensuring that all programmes and projects take into consideration the disability dimension, for the first question; and working with the new Social Responsibility Unit in FIIAPP, organising training courses to implement disability mainstreaming, creating a pool of experts to support public administrations, organising workshops on specific topics (children, gender etc…), sharing knowledge and inputs from experts in the field, providing concreate tools and good practices, and selecting experts, for the second one. The seminar and its outcomes are in line with the activities foreseen by Bridging the Gap under its Outcome 1 and the Knowledge Management and Learning Strategy.